The chore chart. It’s such an amazing concept. 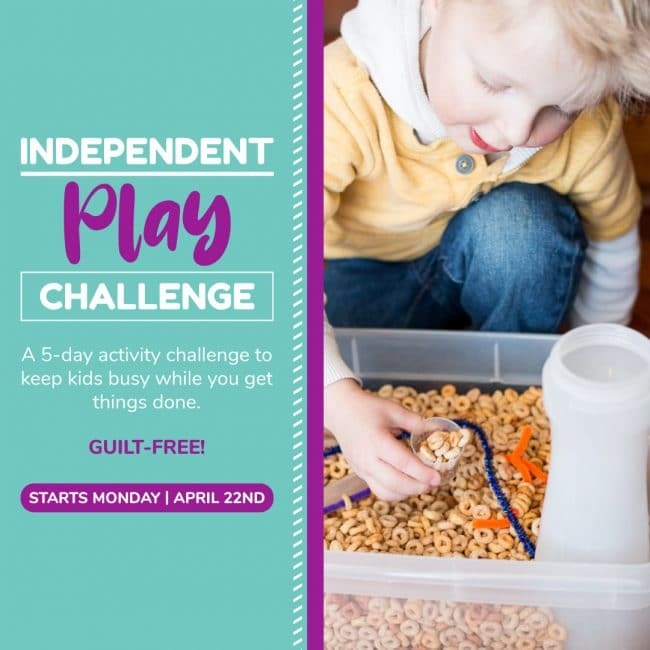 We decide what chores we want our children to do. 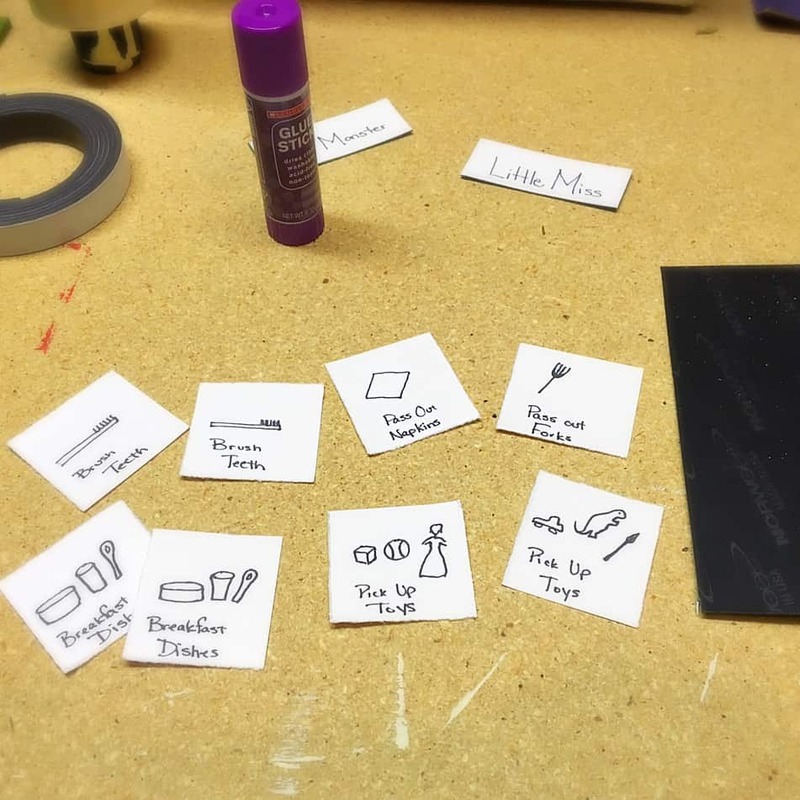 They get to move fun magnets, flip pieces of paper, make check mark, or add a sticker. To them it’s a fun activity, to you it’s one less thing off your to-do list. I decided that this year I was going to try my own attempt at a chore chart. One that is designed for the youngens. My kids are 2 and 3 and love helping me around the house. Hubby and I decided that we would keep things simple. 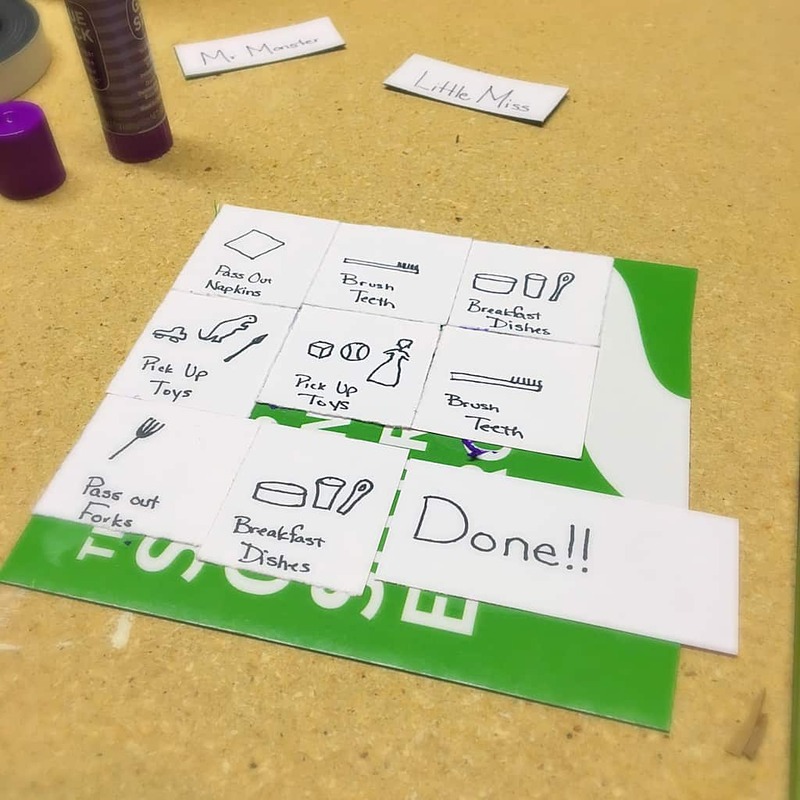 They only had to complete 2 out of the 4 tasks in order to earn a bed-time show. So I set off to make my super cute, pin worthy chore chart. 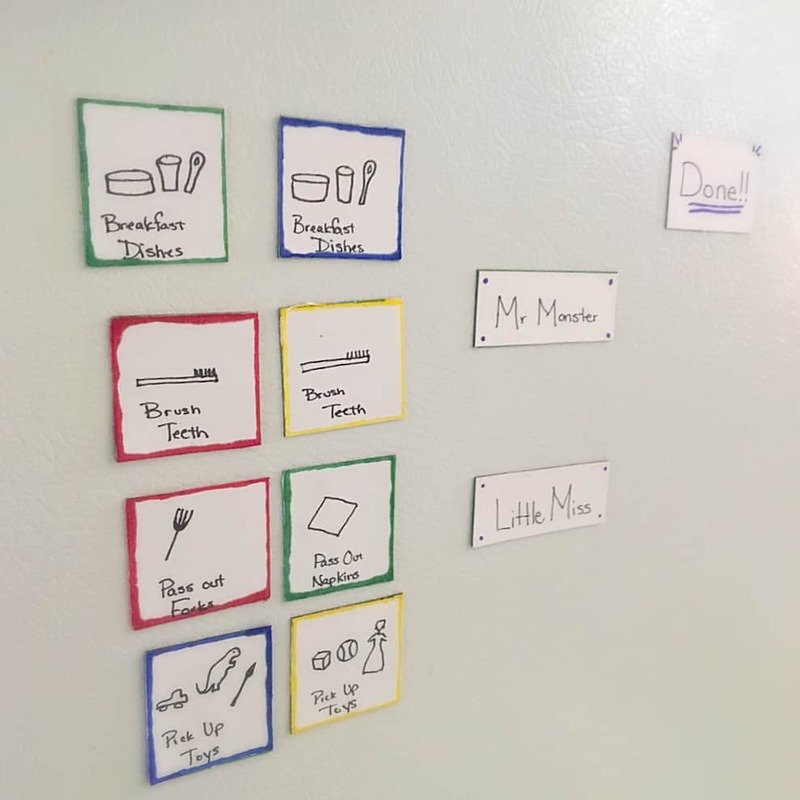 I was inspired by the chore chart the J used last year. It’s cute. Involved very few supplies. And was made in very little time. I basically drew a chore that represented each chore onto a piece of paper. If drawing isn’t your strong suit, you could easily find some cute clip art and print some pictures. 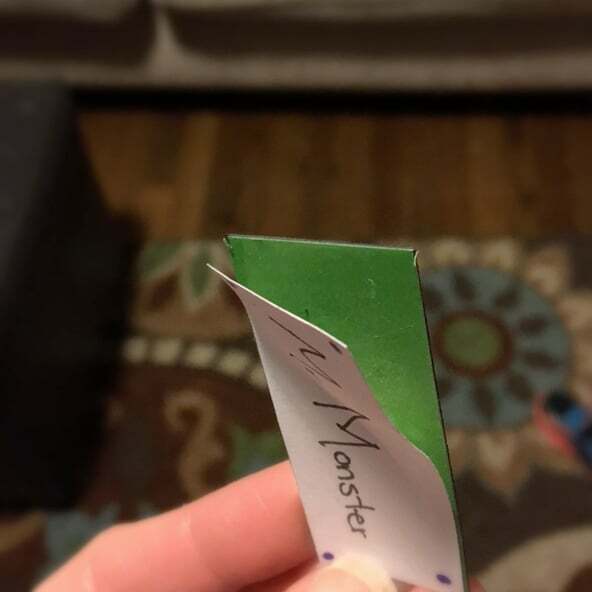 Then I glued the piece of paper to an old refrigerator magnet. I whipped these up, put them on the fridge, took my pictures for this post and waited for the kids to wake up and learn all about their new responsibilities. Little Miss was very excited. 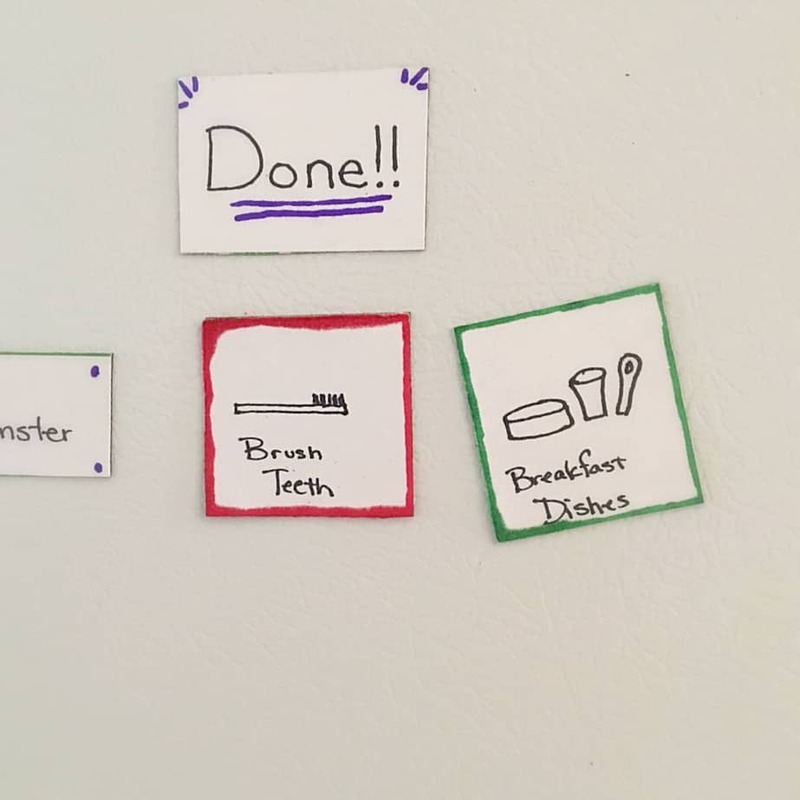 She quickly moved over “Brush Teeth” and “Breakfast dishes” into the Done section. Then she scurried to pick up all the toys in the house. The pass out forks would have to wait until dinner time. It was a success! Then came Mr Monster. He was also very excited about the new addition to the fridge. But he was more excited about how he could so easily peal them apart…He still does his “chores”, but he could care less about moving a magnet. 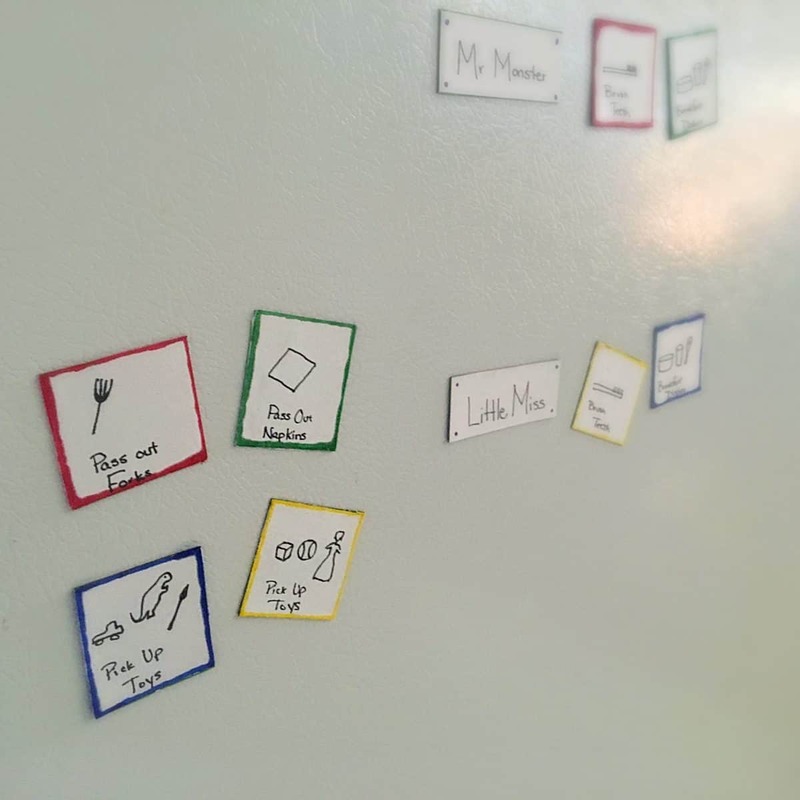 The lesson of this story….Little ones will help you with chores whether or not there is a cute chart to go with it. They just love helping. To them they are not chores, they are times that they can be with mommy and daddy and feel appreciated. 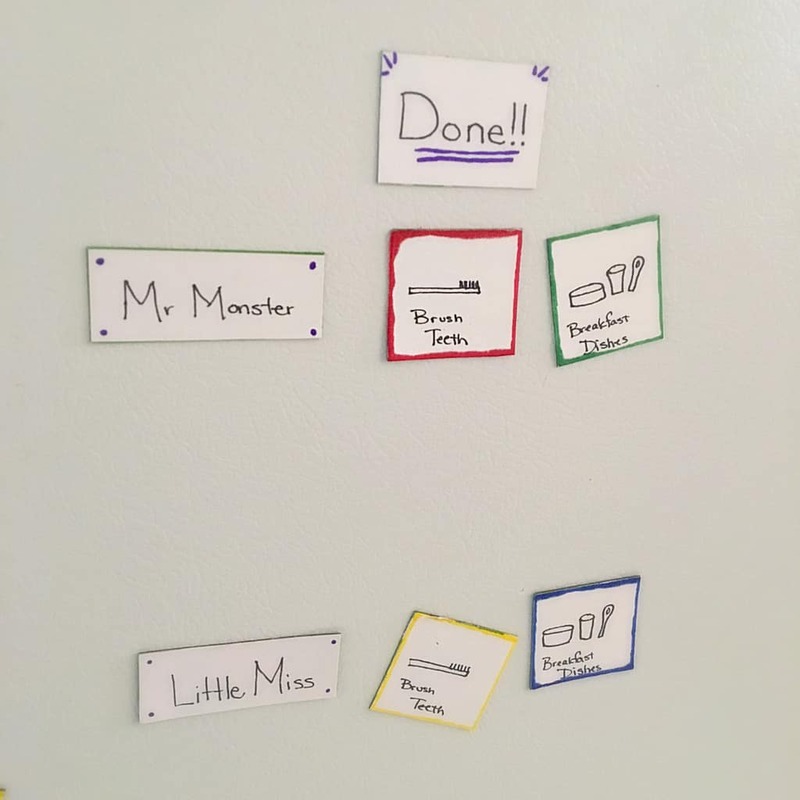 And while Little Miss is still using her part of the chore chart (Mr Monster has had no interest since his original destruction). She’s more excited about the idea of helping than the idea of moving a magnet. 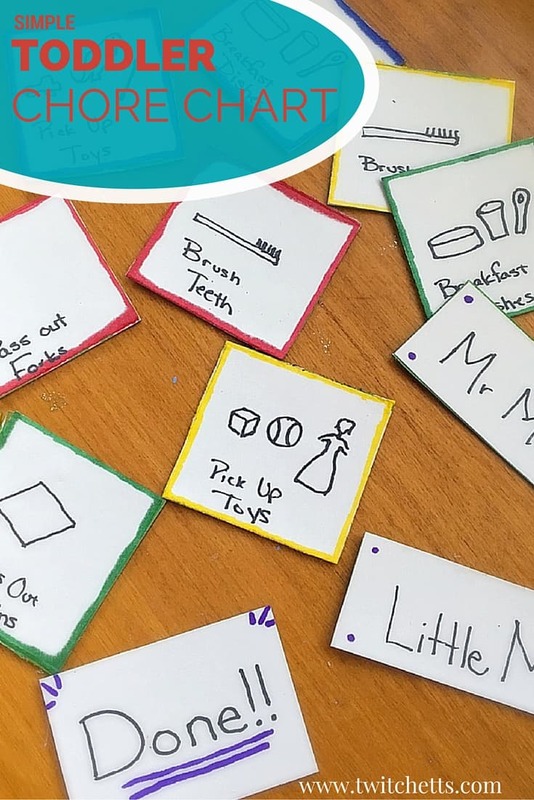 Do you use chore charts? How old were your kids when they first started? We have since moved on from the magnets since V has been around. 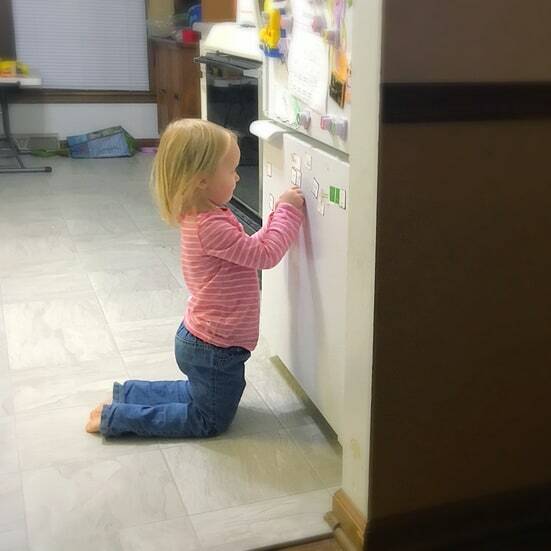 They didn’t last long on the fridge with her little fingers around… J still is doing his chores, we have been perfecting our new routine.